Eupatorium pilosum. Copyright ©Bruce Patterson.New England Wild Flower Society.gobotany.newenglandwild.org.. (Accessed 4/2014). 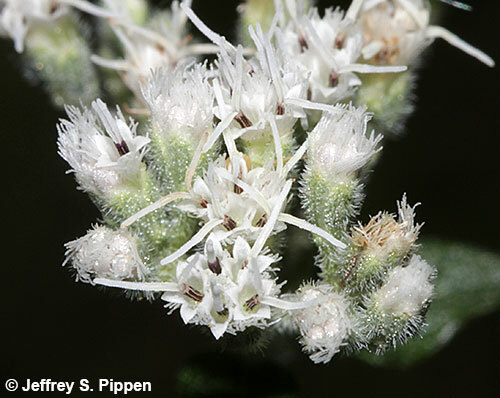 Eupatorium pilosum is a perennial herb, 30-150 cm tall, most parts rough hairy and sprinkled with tiny glandular dots. Leaves opposite, stalk short to none, blade reduced and sometimes alternate above, lance-shaped, coarsely, unevenly toothed, major veins 3, often lacking teeth near leaf tip. Eupatorium pilosum florets. © Jeffrey S. Pippen. jeffpippen.com (Accessed 11/2018). 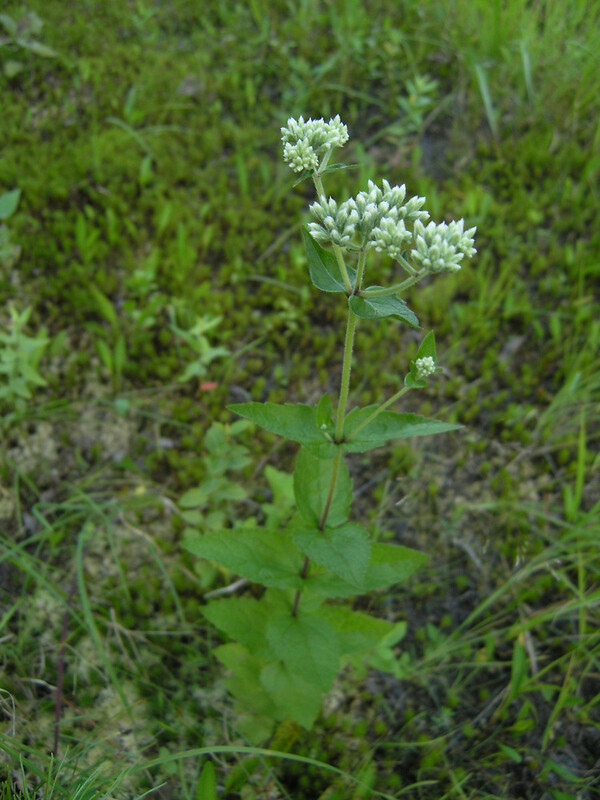 Flowers white, heads 5-flowered, bracteate base about 0.5 cm tall; inflorescence open, flat-topped; blooms Sept.
Habitat: Open bogs or part shade, acid, sandy soil.